The information presented on this page was originally released on July 22, 2010. It may not be outdated, but please search our site for more current information. If you plan to quote or reference this information in a publication, please check with the Extension specialist or author before proceeding. 4-H Shooting Sports is a national program with more than 300,000 participants between the ages of 8 and 18. Almost 9,000 Mississippi 4-H’ers participate in the program, and more than 700 adult volunteer instructors and 4-H agents provide training and leadership. The 4-H’ers have the opportunity to learn to handle the shotgun, air rifle, .22 rifle, air pistol, .22 pistol, bow and arrow, and black powder. One such skill is demonstrating respect. 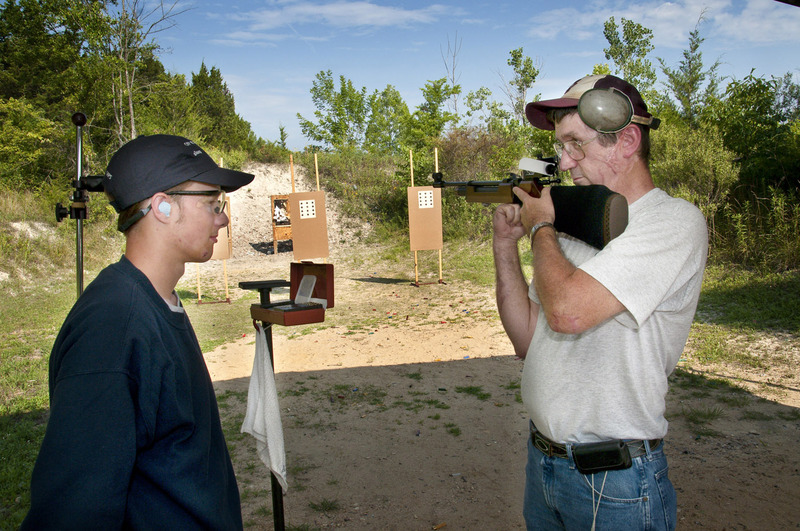 4-H’ers in the shooting sports program learn to respect peers, instructors and firearms. Trained instructors provide thorough directions on proper handling of firearms and give the children explanations on how the firearms work and are to be used. Stu Wright, a Level II shooting sports instructor in Lowndes County, said it does not take long for safety to become second nature for the youth. Long reported that the Mississippi program has an excellent track record, with no youth injuries associated with the program. Tom Ganann, a Level II shooting sports instructor in Leake County, has been volunteering with the program for almost 10 years. Ganann said the youth are open to the safety lessons. Shooting sports is a family affair for Ganann. His 15-year-old son participates in the program. The program caters to youth who are interested, including those with disabilities. Senior 4-H shooting sports participants who score a minimum percentage in their event are invited to the State Invitational competition and eventually may represent Mississippi at the National 4-H Shooting Sports Contest. This year, the national competition was held in Kerrville, Texas. The Mississippi team took fifth place overall. Ganann served as the .22 pistol team coach and was proud that his team took home second place in that area. Wright said the social aspect of the competitions is beneficial to the youth and their families. Long said that while all the competitions are important, youth gain something even more meaningful from the program. “We aren’t aiming to produce just champion shooters, but rather, champion youth,” he said.